The super rich are driven by their own mantras of exclusive leisure options. And while the millionaire club expands, drawing in members from across the world, their travel choices too get more refined. So, cruises for this set are passe. Owning private islands, private boats and airplanes are a routine affair. Leisure boating sounds exciting because it combines lazy luxury with some exciting sporting activity. They have our own Vijay Mallayas hosting some very fancy parties on their private luxury yachts and some of our more discreet industrialists and politicians harbouring this as a growing adventure passion. Clearly, the interest in leisure boating is fast growing. The one pre requisite for this sport, is the love for water and the great seas. This is not usual luxury holiday activity. Inspite of all the luxury trappings, it still has the rough and tumble associated with the moody rhythm of the sea or ocean where ever you are choosing to indulge leisure boating in. So if you are one who likes having people around, swap options of fine dining, shopping etc, then this may not be for you. But if you are the kind who loves getting away from the mainland and hitting the clear waters with only the sky above for company, this may just be the thing you are looking for. And if you thought that these are simple contraptions, you could not be more wrong. Luxury boats can be as long as a hundred feet and can be done up to resemble floating hotels, palaces or whatever is your closest fantasy. They can be equipped with swimming pools, bars, gyms, discos and even helipads. India is being seen as a new and emerging leisure boating destination. Some of the world’s leading boat manufacturers are eying the country’s super rich. Where can you indulge in this sport is an inevitable concern. Are our seas and waters as congested as our roads and highways? Actually, India has a sizeable coastline of almost 8,000 km and approximately 15,000 kms of another navigable inland waterways, giving enough leeway for the sport to thrive. Add to this, our waters are not as crowded though we do use them for trade and transport. Mumbai is an obvious choice, which is why it has already started hosting international boating events and ‘bazaars’ where our super rich get a chance to see what the latest boating products are like and how the sport can get an impetus. We still do not have a supporting boating infrastructure but that is likely to change with more Indians being proud owners of boats. Though some of Mumbai’s new boat owners are already expressing exasperation given the stepped up security on the seas, post the Mumbai blasts, where the entry into the city was via the sea route. Resultantly, some of them at the moment choose to anchor their prized possessions as far away as the Mediterranean or the Caribbean which are considered to be boater-friendly. 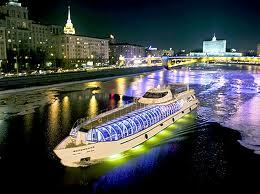 Reason also, why some of the best cruises of the world emanate from these regions. There are special leisure boating magazines that guide new entrants with tips and suggestions on activities like big game fishing, caring and maintenance of the boat, connecting them with other like-minded enthusiasts as also information on the upcoming boating events across the world. * Always check the weather forecast and do not go by appearances alone. For a calm and sunny day can quickly turn into a deadly storm with choppy waters. Fit your boat with radio and other devices that allow you to get updates and advisories. * Always wear a life jacket and get them duly checked before heading out. Most recreational boats are mandated to have on board at least one Coast Guard. * Operate at a safe speed and know that excessive speeding is a leading cause of all reported boating accidents. * Don’t drink and boat. Remember, most rules that apply on land are applicable on water too. Boating while intoxicated is a leading cause of fatal boating accidents. Alcohol affects judgment and vision, increasing the likelihood of an accident. It is also illegal to operate a boat while under the influence of alcohol. * Preventative boat maintenance is key to having a great boating experience. Regularly checking your equipment for safety ensures that it will perform better, reduce depreciation and save on costly repairs too besides give you a smooth ride. * Understand about medical conditions that can be acquired or aggravated while on the seas. For example, hypothermia is a risk for those who may be vulnerable. So, avoid entering the water when the temperature is below 59º F. Symptoms could include decrease in body temperature, uncontrolled breathing and unconsciousness. * Always have a small waterproof bag with dry clothing on board.